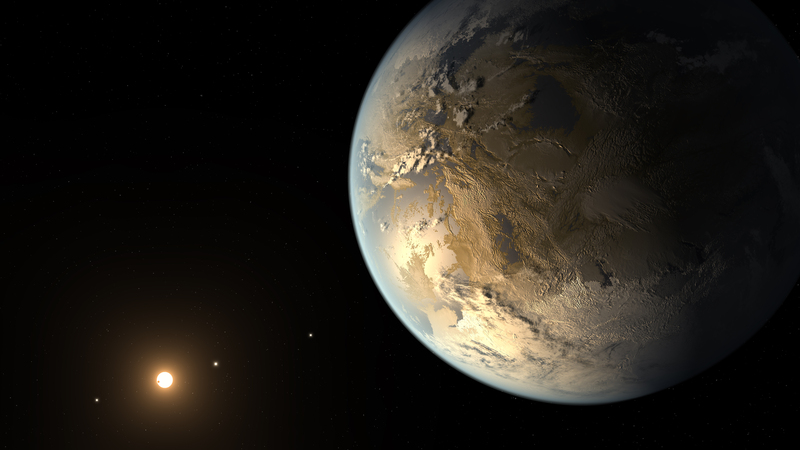 NASA’s Kepler Space Telescope has located the first Earth-sized exoplanet in the famed “Goldilocks’s Zone” – that is, the planet’s orbit resides in a habitable zone where conditions are neither too hot nor not too cold for water to exist on the surface . Considered more of an “Earth-cousin” than an “Earth-Twin” (according to scientist researcher Thomas Barclay), Kepler-186f orbits a red dwarf in the constellation Cygnus. Scientists predict the surface to be rocky and light on the planet at its brightest resembled light from our sun at sunset. Still, the possibility for life exists. NASA hopes future mission like the Transiting Exoplanet Survey Satellite and the James Webb Space Telescope to make further observations of the planet.